Welcome to DepthCharts.com! Our sole purpose is to provide you with live depth charts and analysis for NFL, NBA & MLB. Click a league to get find your team’s depth chart. 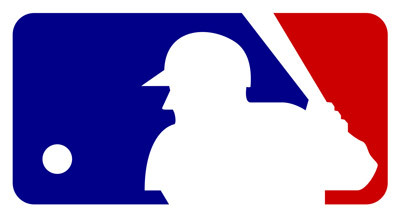 Each professional sports league, whether it be the MLB, NFL or NBA, operates on a regulated basis. This regulation ranges from monetary capacity for player contracts to the number of players featured on a roster. Each league differs their ruling across the scope of sport, but all have limits that are always to be abided by. Taking the league’s ruling into consideration, each professional sports team builds a roster to their liking. Player depth and position depth is created at opportune spots or areas where the coaching and management team find fitting. The construction of a roster differs across the formats of competition a team will face, internal factors, and contractual considerations that stay within the proper guidelines. How Can Depth Charts Help Your Fantasy Team? The depth chart is also important for those compiling daily or season-long fantasy research. Researching statistics across the sport, comparing averages for player analysis often gives the daily and season-long fantasy sports player an edge over the competition. While the element of chance and freak occurrences cannot be controlled within a fantasy platform, timeless research can lead to predictive outcomes. Below we cover depth chart construction and analysis across Major League Baseball, the National Basketball Association, and the National Football League. The pre-season is the NFL’s biggest coming out party. Teams are afforded the opportunity to roster up to 90 players on their squad. This creates a large base of depth to choose from for meaningless competitions. This time is utilized as a showcasing period for their younger players and ultimately represents the biggest stress test for inexperienced players. Forcing players into adverse situations affords the team the ability to see how they handle pressure. Roster spots are earned in the pre-season for some of the talents that went undrafted and essentially walked-on within an organization. Once the pre-season comes to a close, teams must trim their rosters to 53 players. While these cuts occur at a gradual clip, most of the cuts come after the final pre-season game. Teams must reach the 53-man count prior to the start of regular season competition. The construction of an NFL depth chart is usually determined on a talent basis. If a team has a talented running back that can handle high volume, they will often only roster one back-up player at the position. The same goes for signal callers, safeties, and corner backs. The other positions, like defensive lineman, offensive lineman, and wide receivers, often feature multiple back-ups. These back-up players are often inserted on a needs basis, lining them up on any side of the ball. Flexibility is often a requirement for these positions, subsiding a receiver to role of slot play, outside coverage, or interior positioning. The same goes stance is created for lineman. If a player goes down with injury or a substitution is needed, the back-up must often be prepared to fill an interior role, an outside role, or an edge position. 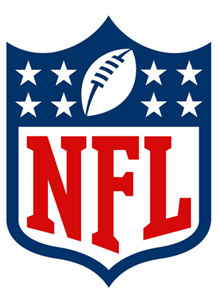 NFL teams host 22 starting players, not including place kickers, punters, and special teams players. Each position normally features at least one back-up player on the depth chart, but many positions call for multiple relievers. The NFL depth chart construction is a crucial factor in daily and season-long fantasy sports play. Many formats often leave out individual, defensive contributors, lending an owner to select an entire team for their defense. Selecting the correct defense is often a hassle because teams construct their defense on so many different tiers and factors. Researching the offensive attack for an opposing team can help create for the defensive advantage. Usage rates are the greatest statistic a fantasy owner can predict from. A ball carrier who normally sees 20-30 carries per contest is often going to present the better selection when compared to a running back-by-committee format. The building of an NBA depth chart starts with Summer league play. Teams often split their team amongst two groupings, competing in different leagues. This roster division is often carefully selected amongst the management team, creating looks for talent scouts and team representatives to chart throughout competition. The team is at full force during Summer league play, but it often leaves select superstars off the list of rosters. The Summer league is utilized as a developmental program for younger, inexperienced players. Most of the rosters are comprised of rookies or second-year players. Most of the starting talent on a team stays home to practice during this period of time. These teams are made up of talents extending throughout the pipeline of an organization, reaching to D-League players and undrafted free agents alike. Most teams will only carry a select handful of the Summer league players on their active, 15-man rosters. Dumbing a roster down to a 15-man grouping is often difficult for NBA teams. They have to first account for the positions they wish to feature on-court. The tried and true formatting works out to five positional players: a point guard, a shooting guard, a small forward, a power forward, and a center. This 5-man positional construction tool has shifted to an outdated status, with most teams listing players as either guards or forwards. For example, some teams will feature two-guard sets to open the passing lanes for their big men or to give the team better ball movement. Other teams will favor two forwards to attempt to clog the lane with bigger bodies, opening up the wings and outside areas for shooters. Whatever the case may be, teams will often spread their coverage of talent to 7-8 rostered guards and 7-8 rostered forwards. The positional terming is key in the fantasy sports world. Some players are termed within multiple roles, allowing for ease of shifting in season-long NBA fantasy play. Most season-long and daily leagues abide by the 5-man format, usually affording an owner multiple selections for each position. If a player is featured at the incorrect position for an upcoming game, the user can often use this as a competitive advantage in exposing their lineup to this talent or going against the grain with creativity rostered elsewhere. The development of a baseball roster and depth chart centers around a crew of 40 selections. Each Spring, teams are afforded the opportunity to host 40 different players they have under contract. Spring training is the main attraction to all of the franchise’s deepest talent pools, showcasing selections from professional talents all the way down to Low-A class competitors. When drafting young prospects, professional organizations often sign these players to professional contracts, allowing the player to become part of the active, 40-man roster. Although these players are signed to a professional contract, their career beginnings often start in Winter leagues, Low-A class farm play, or High-A class farm play. Taking a 40-man roster south for Spring training is only a showcase and it does not determine the active 25-man roster that the team must be cut to come the start of the regular season. Spring training is the equivalent to the NFL’s pre-season contests or the NBA’s Summer league. These leagues are created to give players a taste of what is expected of them at the next level. The cut to the 25-man roster has a deadline to be submitted. Teams must compile their roster and depth chart prior to opening day contests, a rather lengthy time span for consideration. Once opening day hits, teams can only dress 25 players for potential contribution. The roster make-up centers on evening the distribution between pitchers and fielders. Teams will likely favor a bullpen option that carries 7-8 relievers. Whether it be long distance or short-inning relief, it is rare to see a team exceed the 8-man mark. The starting pitching rotation is often beefed with 5-6 starters. Teams will sometimes opt to feature 4 starters, lending the 5th day to their bullpen in a rotational setting. This is also a rare occurrence as the bullpen is often constructed of players that are not meant to exceed a 3-inning outing. The positional players are then established with the remaining player options. Most fielding positions are handed to players in terms of range, unlike the catcher position that is often solidified for the player filling the role. For example, an infielder might occupy second base as their everyday role, but they might find their name on the list of back-ups at short stop or other infield selections. This affords teams the ability to roster selective talents in the pitching positions, beefing up their core of run protectors. The outfield is often constructed of a 5-man rotation, with the infield climbing to a list of 7-8 talents. This gives almost every fielding position a back-up that would not be found within the everyday, starting lineup. American league teams have to account for the DH position, but this role is rarely handed to players in terms of a starting position. Many first base players are often given the title of this role. The depth chart is important to every team because it helps a team gauge their usage. For example, a smaller number of players in the starting rotation equates to less rest in between starts and a higher usage rate from the bullpen. Teams who solidify their starters within a 5-man or 6-man rotation greatly decrease the risk of exposing their players to high volume on short rest. The same usage rate also becomes relevant to teams that feature higher average ages than the competition. Veteran talents are spread across the league, but you don’t want your 38-year-old outfielder tying up the cleats for 150 games of the season. This is why depth at the older, occupied positions is something a team looks to build upon. Keeping a healthy rotation of talent fluctuating in and out of the lineup affords players the necessary rest to complete a season-long campaign. Depth charting is also relevant in the fantasy world. It provides analysts with the tools needed to compile research prior to a contest. Teams often submit their daily lineups hours prior to the start of a contest. Since most daily fantasy offerings begin with the start of the first pitch from the earliest game on the slate, being aware of this information provides users with the time needed to construct a roster based off statistical analysis, average comparisons, and other such factors. Without the depth chart release, the daily fantasy sports world would become a game of chance.